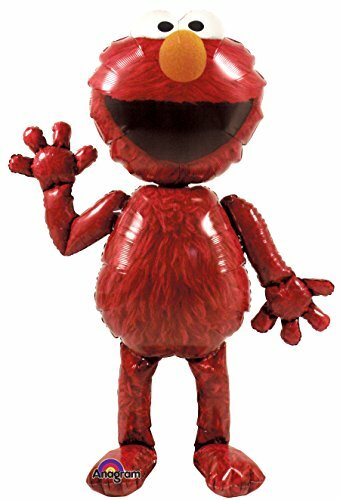 Celebrate your child's first birthday with their favorite character from Sesame Street, Elmo! This first birthday party pack was created for your child to be the center of attention! 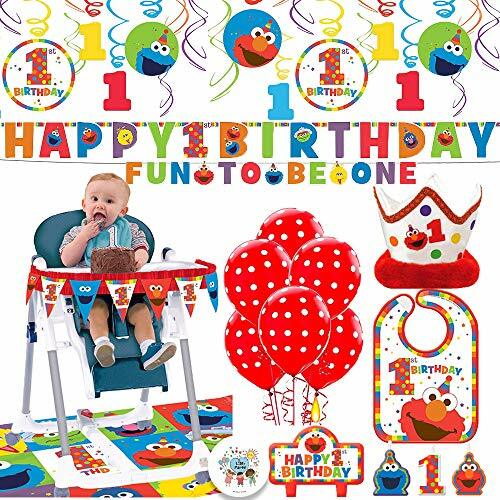 We have included; 1- Elmo Fun to Be One Hanging Swirl Decoration Kit (12 in a package), 1- Elmo Fun to Be One Baby Bib (14.5" x 10"), 1- High Chair Decorating Kit (1 Banner + 1 Plastic Mat), 1- Sesame Street Happy Birthday Customizable Add An Age Banner (10.5'), 6- Red Polka Dot Balloons, 1- Elmo Fun to Be One Crown, 4- Elmo First Birthday Themed Candles. Plus an EXCLUSIVE "Life of Party" 2.5" Button which can be used as an activity prize or gifted to a special guest or the host themselves! Let us help you make turning 1 be so much fun! Bring together friends and family using this all-inclusive Elmo Turns One Themed Party Pack for 16 guests. 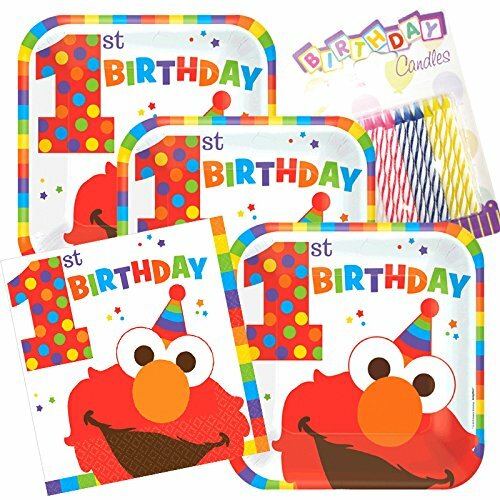 Our party pack is designed with your child in mind and contains 16 emblematic Elmo themed plates, 16 Elmo cups, 16 Elmo napkins, 4 Elmo 1 Themed Birthday candles, and an Elmo table cover. 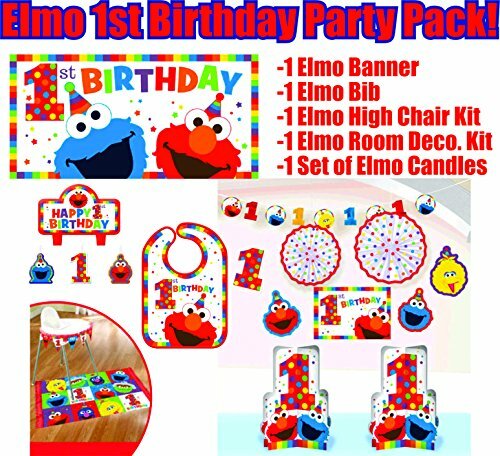 All the essential components of an Elmo Turns 1 themed get together are in this pack! Another Dream is also pleased to add an EXCLUSIVE "Life of Party" 2.5" Button which can be used as an activity prize or gifted to a special guest or the host themselves with this essential party pack! 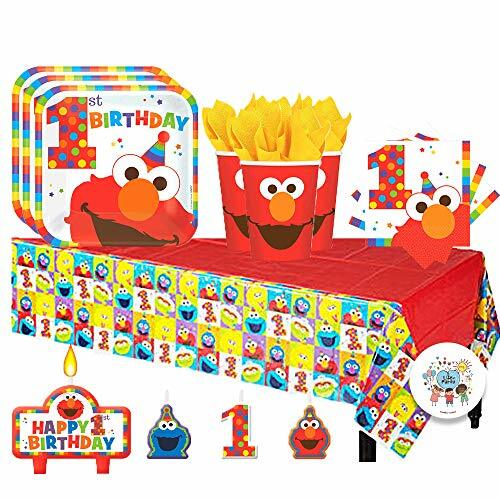 Cup Specifics: 9 oz Plate Specifics: 9" Square Plate Table Cover Specifics: 54" x 96"
1st Birthday Elmo Room Decorating Kit 10 piece Party Supplies Elmo Sesame Street Fun to be One! Bring the entire Sesame Street Crew together with your friends and family using this all-inclusive Sesame Street Themed Party Pack for 16 guests. 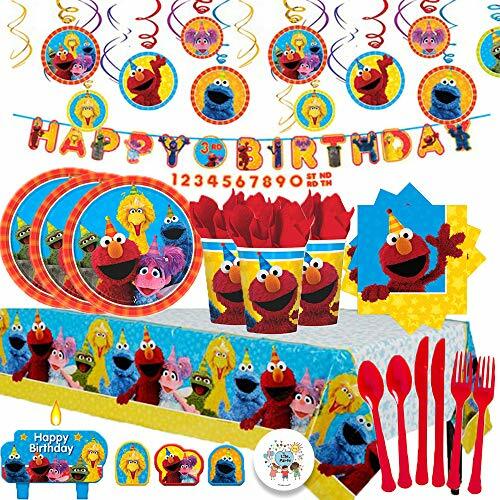 Our party pack is designed with your child in mind and contains 16 emblematic Sesame Street themed plates, 16 Sesame Street Elmo cups, 16 Sesame Street Elmo napkins, 4 Sesame Street Themed Birthday candles, and a Sesame Street table cover. We have also added 16 sets of cutlery (forks, knives, spoons) in matching red. To decorate, we have added a decorative hanging swirl kit and an awesome Add-An-Age Happy Birthday Banner! All the essential components of a Sesame Street themed get together are in this pack! Another Dream is also pleased to add an EXCLUSIVE "Life of Party" 2.5" Button which can be used as an activity prize or gifted to a special guest or the host themselves with this essential party pack! Cup Specifics: 9 oz Plate Specifics: 9" Round Plate Table Cover Specifics: 54" x 96"
Since your little one does better in the high chair then when sitting at table, that's where they should be when celebrating a first birthday. 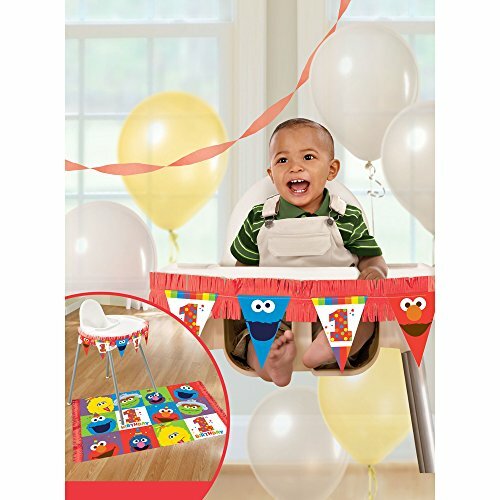 The Elmo turns one high chair decorating kit turns your everyday seating for tots into Sesame Street. Not only does it include a pennant banner to put around the tray, It includes a vibrant floor mat to catch all the crumbs that may spill onto the floor. 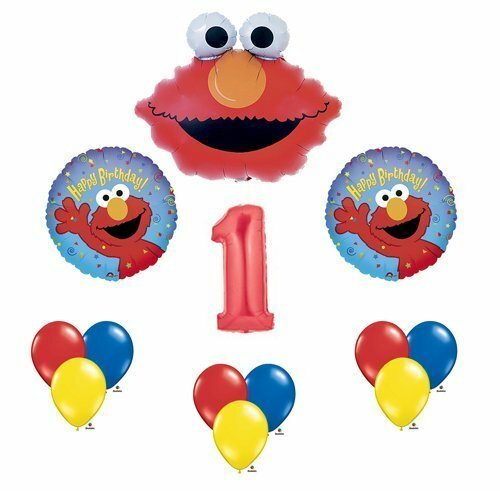 Get all of your little ones Elmo themed 1st Birthday Party Supplies with one click right here! 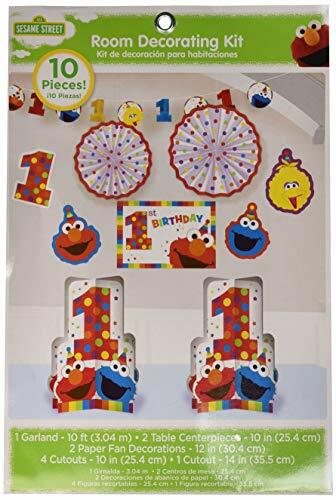 All the Elmo's First Birthday Decorations you need right here, and at a savings compared to buying it all separate! Shopping Results for "Elmo 1st Birthday Party Supplies"